Academic Assistance and Tutoring Centers (AATC) staff members have advanced degrees in their fields and a background in teaching. Our current Writing Specialists are: Ariel, Bridget, Elizabeth, Heather, Kevin, and Matt. Click on Book an Appointment to schedule an appointment for feedback on a course essay, a scholarship essay, or an appeals letter. Please watch this video to learn more about how to make an appointment. See the FAQ below for descriptions of our classes and workshops. See the table at the bottom of the page for workshop dates and times. We curate a Google Folder with worksheets and tips to help you with your writing. The studio, located in the University House Annex, is a place to work on your writing with Writing Tutors, Specialists, and other resources. The studio is open from 12pm-6pm Monday through Thursday during the regular school year and 12pm-4pm during finals weeks and Summer Session 1. We have limited hours during Summer Session 2. The studio is drop-in (no appointment needed), and you may work for as long as the studio remains open. We help build better writers, not just better papers. How do I make an individual appointment with a Writing Specialist or Writing Tutor? Writing Specialists and Writing Tutors can meet individually with currently enrolled undergraduates to help with coursework in all disciplines, scholarship essays, appeals letters and letter of recommendation requests. NOTE: Please have a paper copy ready. Laptop, USB Drive or other electronic copies are difficult to work with and will only allow us to have a general discussion about your essay. If you want us to look at your essay and receive more specific feedback (e.g., grammar), you should print your essay at one of our campus’ computer labs. We will do our best to respond to your email within 2 business days. How do individual appointments work? When making the appointment, you must indicate the class name (e.g., UWP 1), "scholarship," "appeals letter," or "letter of recommendation" in the Reason box. Also, be sure to carefully read through our policies before making an appointment. Please check your email prior to your appointment in case your Specialist or Tutor needs to cancel or reschedule. If there is a cancellation, please feel free to sign up with another Specialist or Tutor; we apologize for any inconvenience. Be sure to bring a printed copy of your essay draft, questions, any feedback you received, and the prompt. These materials will help us better focus our session. If you have an appointment with a Writing Specialist, you will go directly to the specialist's office at your appointment time. If you have an appointment with a Writing Tutor, you will check in at 2205 Dutton Hall a few minutes before your appointment time. During the appointment, you will work for 30 minutes with either a Writing Specialist or a Writing Tutor. Together, you will decide what you want to work on, and the Specialist or Tutor will guide you through possible ideas for revisions to your writing. The Specialist or Tutor will not write on your paper (except to underline, circle, etc.) and will not give away "answers." Rather, the Specialist or Tutor will help you preserve your own voice in your writing and show you resources you can use on your own. Why is it important to bring a paper copy to my appointment? It is important to bring a paper copy of your essay or assignment when you meet with a specialist or tutor so that we can have a dynamic conversation. By flipping back and forth between pages or seeing the entire essay on the table, we can move more quickly between ideas rather than scrolling back and forth on a computer. This also avoids the technical problems that may come with an electronic device such as unplanned updates, dead batteries, or a failure to connect to the Internet. By having a paper copy, you can also take notes during our conversation and circle areas in need of revision. Additionally, specialists and tutors serve hundreds of students per week, and the eye strain of constantly looking at an electronic device to discuss revisions can be painful for the staff. That said, we respect and welcome the need for accommodations for students with temporary or permanent disabilities (see the Student Disability Center for more information), and we are happy to make use of different types of technology if a student has that accommodation. Are there assignments that the Writing Specialists and Writing Tutors can't help with? Yes. Specialists and Tutors cannot help students with developing their UWP 21, 22, or 23 portfolio cover letters or prepare for the upper-division writing exam. Are there times when the Writing Specialists and Tutors are unavailable? Specialists and Tutors are not available when the University is not in session (e.g., spring and winter breaks) and have limited availability during Summer Session 2. Please see the University's academic calendar for more information about University closures. How do the classes and workshops work? 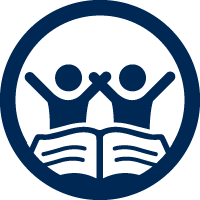 Writing Specialists offer support classes in partnership with programs like the Educational Opportunity Program, the Center for Chicanx/Latinx Academic Student Success, the Center for African Diaspora Student Success, the Native American Academic Student Success Center, and Services for International Students and Scholars. If you are part of one of these programs, please speak to someone in the program's office to learn more. See the Workshop Schedule below for specific dates/times. Giving Credit Where Credit is Due (offered in conjunction with Shields Library and is open to anyone, no registration required): This workshop provides students with an overview of how to use citations within academic writing as well as the differences between major citation styles. We will go over what needs to be cited within an academic context and then examine MLA and APA style conventions. By participating in the workshop, students will also be introduced to the resources in the Academic Assistance and Tutoring Centers as well as the UC Davis Libraries that can support them throughout the writing process. Workshop 1: Understanding Writing Prompts: You will discuss and apply strategies to understand writing prompts. Workshop 2: Revising vs. Editing—What’s the Difference? You will get to learn and apply strategies to revise and edit your writing. Workshop 3: Sentence Structure: You will review and practice strategies to improve your sentence structure and flow. Workshop 4: Timed Writing Strategies: You will review and apply strategies to do well on your final exam. Where can I get help with my personal statement or application to graduate or professional school? You can make an appointment with the Pre-Graduate Writing Specialist via the online appointment system. You can also visit the Writing Studio or Pre-Graduate/Professional Advising Services. Where can I get help with writing that's not for a course or scholarship? Where can I get help if I'm a graduate student? The AATC is not able to work with graduate students. You are encouraged to check out the writing support resources offered by the University Writing Program. When will the Writing Support Center and Shields Library be offering the Giving Credit Where Credit is Due: Avoiding Plagiarism Workshop? Please take a look at our workshop schedule below to see when we are offering this particular workshop. The Writing Studio is a collaborative writing space that supports and promotes student efforts toward becoming better writers. There is no need to sign up ahead of time, but please sign in or swipe in when you enter and leave. Using the Writing Studio regularly allows you to get your questions answered on a continuous basis and form relationships with tutors and your peers. We recommend you come early in the quarter and early in your writing process. A printed copy of your draft, prompt, reading, etc. While tutors and specialists are great academic resources, they cannot replace class or complete the work for you. Specialists and tutors can ask you guiding questions, answer your questions, facilitate connections between you and your peers, recommend resources and offer suggestions so you can reach informed decisions on your own writing. Tutors and specialists will often assign tasks and resources based on your questions to encourage active learning; you're encouraged to work on your writing before and after working with a specialist or tutor. You can use the Writing Studio to work independently or with a study group on your writing or reading assignment. The tutors and specialists are available to answer your questions, but depending on demand, you may not get all your questions answered. 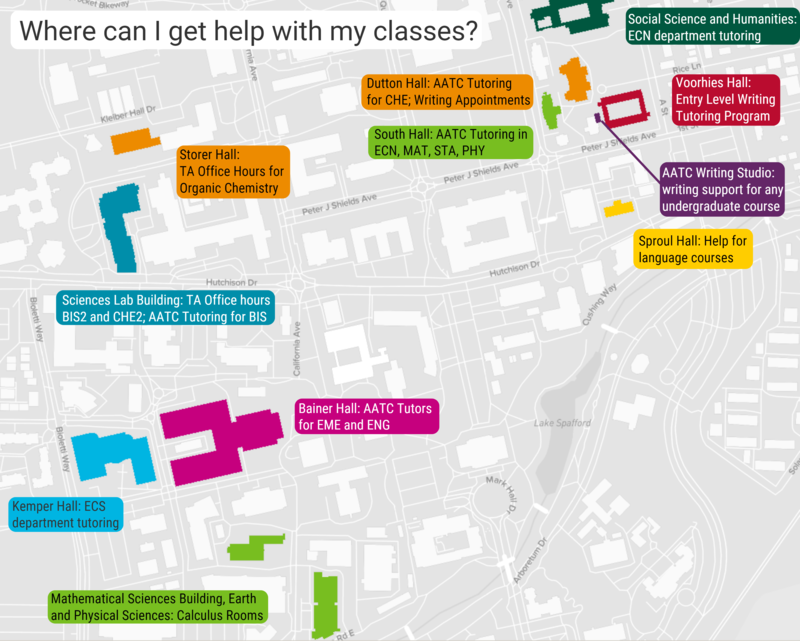 We encourage you to also use any of the resources we have in the room (the Aggie Grammar Guide, the computers, style guides, composition textbooks, and dictionaries) to find answers on your own. We would like to emphasize that using the Writing Studio will not guarantee a passing/high grade in your courses if you do not do any work outside of the studio. To do well in your courses, you will also need to attend class, utilize office hours, and do your own studying and writing. Interested in having digital copies of our worksheets and resources? Please take a look at our shared Google Drive folder. Visit our YouTube channel to see useful videos about writing and locations of our tutoring services. Due to high demand for visits and workshops, we will only be able to do in-class workshops for classes outside of the field of composition. For more options, please contact Kevin Sitz (kwsitz@ucdavis.edu). If you would like a Writing Specialist to visit your class, please visit our interest form. Campus partners (e.g., strategic initiative centers or academic departments) can offer special programming around writing in The Writing Studio﻿. Please contact Kevin Sitz (kwsitz@ucdavis.edu) for more information.